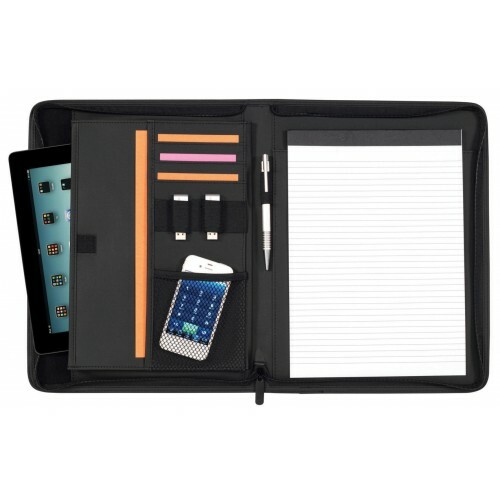 New Zipped Conference folder style c/w soft lined sleeve for tablet pcs. Product is made from Reach compliant leather-look padded PU. Internal features include business card slots pen loops 2 x USB holders mesh pocket for storage and a 20 page recycled paper pad.